The Adjustable Pinch Apparatus, originally designed by David Horne, has been a staple of Grip Strength Competitions since 2005. The Two Hands Pinch World Record is the most coveted World Record in Grip Sport, and now the One Hand Pinch is increasing in popularity faster than probably any other record in the sport as well. To truly perform your best in competition, it is IMPERATIVE that you own and train on an actual adjustable device. 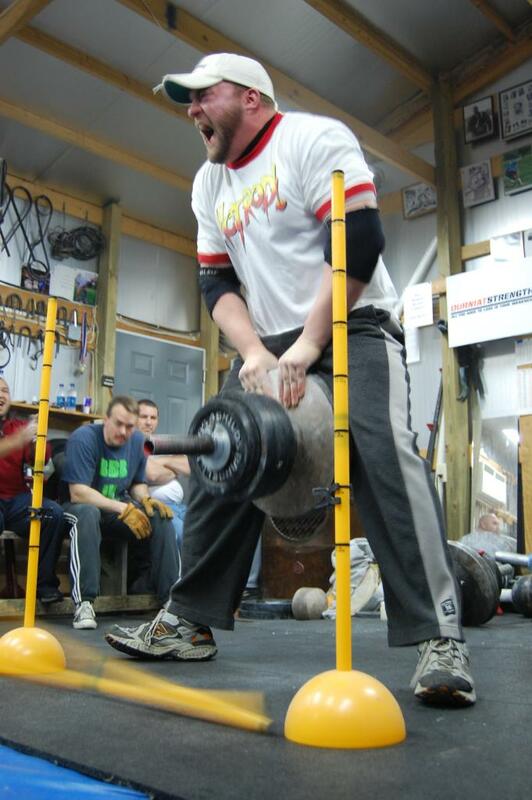 The Adjustable Pinch Apparatus, originally designed by David Horne, has been a staple of Grip Strength Competitions since 2005. The Two Hands Pinch World Record is the most coveted World Record in Grip Sport, and now the One Hand Pinch is increasing in popularity faster than probably any other record in the sport as well. Sure, you can use a ghetto 2HP device using 2-45’s, but you will never have optimal training that way because you will never know the perfect width for your hand size. That is, after all, the beauty of the Two Hand Pinch and One Hand Pinch that we contest in Grip Sport – the apparatus is full adjustable to fit any hand size – man, woman, teenager, big hands, average hands, and small hands. Having an apparatus to train on is imperative in order to perform at your best and put up the best score possible. This has been proven over and over, as all of the record holders and perennial top performers in Grip Sport own their own device. In the past, the only way to get your own set-up in the United States was to purchase one from David Horne and deal with exorbitant shipping charges and long wait times. But not anymore. I have begun sourcing the materials to produce adjustable pinch apparatuses that I call the Napalm Pinch Device. There are two versions of the Napalm Pinch: the Basic Model and the Pro Model. The Napalm Pinch Basic comes with two outside steel plates (.25″ thick) and 9-rubber inserts (each .25″ thick), giving you an excellent range of variety for your Two Hands and One Hand Pinch Training. It is just like the original device designed and sold by Horne, but instead of having rubber inserts, it has inserts made of expandable PVC with tabs on them to make them easier to adjust widths for multiple trainees and competitors. The Napalm Pinch adjustable-width pinch devices do not come with the loading pipe or collars. The unit includes only the outside steel plates and inserts. The pipe and collars would make the unit extremely expensive, and drive up costs significantly. A 3-foot length of Schedule 80, 1.5″ inside diameter pipe is suggested, to reduce the chance that the pipe will bend when dropped. Spin lock collars, as shown in the images, help keep the unit tight when lifting on it, and offer spacing between the gripping plates and the weights added to the pipe. Pony Clamps or other collars can be added to the outside of the pipe to keep the plates from sliding off during the lift. When you order yours, the button will add $25 for shipping to your order. This is an estimate and if it is not enough to cover the shipping, I will get back with you to make up the rest. If it is too much, you will be refunded. All devices ship out USPS Standard Shipping with Tracking and Insurance coverage. Once you have your own Official Two Hands Pinch device, prepare to watch your numbers explode, since you will finally be able to figure out your proper width and get to practice on a device that is the same as what is used in competition. training widths. 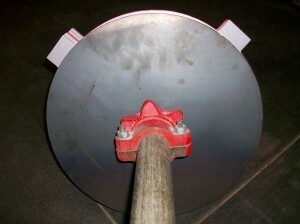 The outer steel disc are precision cut as are the inserts. With the Pro model the inserts have extended outer tabs for easy removal and adjustment for the thickness of the unit for grip contests or training. Can’t believe I waited so long to buy a Euro Pinch Implement! I am grateful that Jedd Johnson from the Diesel Crew made this implement available to the grip community! If you’re into Grip and you don’t have a Euro Pinch setup then your overall grip game will always be lacking in the pinch department in my opinion! Awesome implement! Jedd hit it out of the park with the Napalm Pinch Pro!! !